They hatch from eggs laid on land. 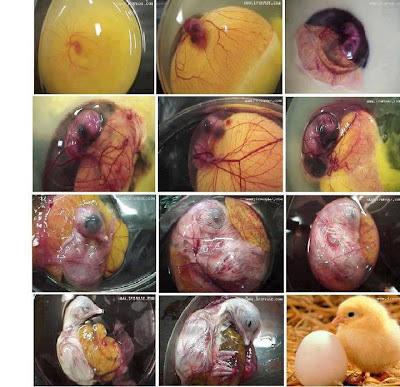 Birds incubate their eggs, feed and take care of their babies. Here you can see how a chick grows inside an egg!